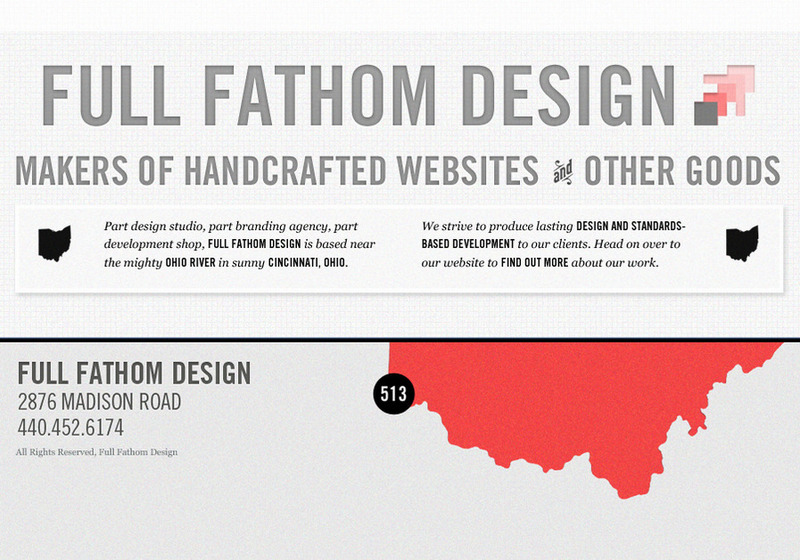 Part design studio, part branding agency, part development shop, Full Fathom Design is based near the mighty Ohio River in sunny Cincinnati, Ohio. We strive to produce lasting design and standards-based development to our clients. FFD combines quality craftsmanship with a Midwestern work ethic to produce impeccable hand-crafted designs.